If, like me, you are highly vulnerable to judgement from others, it's time to take a look at your wedding priorities. Once you're able to come to terms with what you genuinely want from the day you can begin to free yourself from the guilt, anxiety and paranoia. James and I got engaged to be married and set the date for our Big Day 14 months after our engagement. Since then, I have been trying to balance the pressure of planning a wedding with other aspects of my life. My priority, above all else, is my marriage and future with James. I hate to break it to you! It’s not about the wedding, it’s about the marriage! Nevertheless, I still have moments of doubt and worry. With lots of family and friends on both sides it has often felt like quite a juggling act trying to honour what James and I truly want with what our families want too. However, I'm fairly certain a large portion of these insecurities exist in my head only and that James and I won't be loved any less if Uncle Bob who immigrated to Boston 60 years ago isn't invited. Lucky for me, I’ve seen most of my good friends get married so early on in the planning process (OK, before James even proposed) I asked them, “knowing what you know now, would you do anything differently?" The said spend half the mount, invite only people you can see in your life in 20 years time and worry less. I have carried those wise word with me ever since. One of the first things James and I did was set our budget. Irish couples spend on average €24,427 on their Big Day. A wedding day can be one of the happiest days of people’s lives and it can be done for as little or as much as you chose. For us, it is one day and if it turns out to be the best day of our lives than that will be a welcomed surprise! James and I have our WHOLE life together and I don't want to think that the best day of our life will be over, before this chapter has barely even begun. As a bride I feel like my wedding day is supposed to be the best day of my life. I feel like that is what everyone expects me to say. I feel quite guilty for thinking that maybe I will be OK if it's not! I don't want the pressure of trying to create (and pay) for the best day of my life! James and I asked each other ‘If you were only allowed to spend money on three things, what would they be?’ We put the honeymoon, photographer and food as our top priorities. (Of course, I made my own secret list and I put my dress, shoes and flowers on it. Ssshhh, don't tell James). We spent money on the things that mattered to us and saved our pennies everywhere else. This really helped our budgeting process and encouraged us to think really creatively about the sort of day we wanted. It’s easy to get carried planning the dream wedding but if you are struggling trying to balance the negative thoughts with the positive thoughts maybe it's time put the planner down, and have a cup of tea? Whatever your priorities are, just own them. This day belongs to you and your fiancee. Yes, it’s a magical, precious and special day but throwing money at it won’t make it any more special. The problem is not your wedding budget, the problem is that you think money will make your big day stand out! I thought I would enjoy planning more but it triggered a bucket load of anxiety. I surprised myself! For e.g I have dreamed about picking cute dresses for my flower girls almost as much as I dreamed about MY dress but it stressed me out! My head became a wash with demons and I stopped enjoying other aspects of planning. When my Mom saw this and offered to help I immediately said yes! There are two ways you can accept help. You can graciously say yes and trust, or you accept help and micro manage every last detail. Don’t micro manage! Trust, and don’t sweat the small stuff. The DJ, the dance floor, the flower girl dresses, the table arrangements, the invitations, the dresses and the shoes… just remember, don’t sweat the wedding, it’s the marriage that counts. The more you look for things to go wrong on the big day, the more things you will find. You can have so much fun planning for the big day. James and I have had meetings and lunches, we agreed and we disagreed but in the back of our minds we knew we wanted our day to be a fusion of our past, a celebration of our present and an exciting leap into the future. Money cannot create those things because they are the words people carry with them in their speeches, the smiles that are captured on camera and the vows James and I share in front of the people we love most in the world. I know what it's like to want the dream wedding. I am so excited about wearing my dress and my shoes. I can't wait to see the room dripping in flowers and for my first dance ever with my husband to a carefully selected song... but if things go wrong, if things fall apart... I also know I will be OK and laugh about it. On the day, I fully intend to let go, and go with the flow. Even right now I have a 'f*uck it list', a list of things that don't really matter and steer me away from my priorities. For. e.g If my desired flowers aren't available, if my hair drops or make up cakes! My priority is to balance my dream wedding with the start of a healthy marriage. And to honour the plans and secret conversations James and I have about what we want. But how about that dress? Of course, it’s easy to understand why planning a wedding brings out our insecurities. 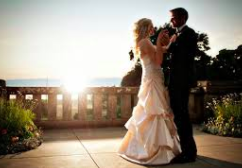 We plan weddings with perfection in mind, the dream wedding, the dream dress and the dream body. Trust me, the idea to lose weight was there, loud and clear in my mind. I have long suffered from appearance related anxiety so I knew wedding dress shopping could be a slippery slope. The pressure to lose weight for your wedding can, at time, feel agonising. The wedding industry covets a svelte, feminine and shapely body and makes other bodies feel unworthy of a white dress. Dieting won't fix your insecurities and weight loss is not the answer to a dream wedding. I decided that I would not lose weight for my wedding. I wouldn't even try. I've worked too hard to allow one day to effect the sense of acceptance and love I have for my body (something that has takes years to nurture). I decided to make up a rule; I would spend more time and energy on nurturing whats important to me, and absolutely zero energy on intentional weight loss. When you are walking down the aisle and you see your husband-to-be for the first time, do you want do you really want your last thought as a single gal to be "BINGO WINGS!" I wanted to feel lost in love and bursting with pride because James and I are surrounded by so many incredible people we are lucky to call our friends and family. I don't want to miss out on anything because I was looking down to see if my tummy appeared big (or gasping for breath because my Spanx are too tight). Give yourself permission to to fret over your body now, and you will add to you list of things to worry about on the big day! And can I let you in on a secret? Your inner beauty doesn't need Spanx, lip fillers or diet pills... you are, and always have been beautiful. The problem is not your body, the problem is how you think about your body. Focus on collecting memories, not weight loss anxieties. At the end of the day you are a mature and sensible woman (right?). If you chose to drop 10k on a dress or plan a wedding that will photograph well no one can stop you, but here are some practical tips to help you feel organised. Make lists. Lists are your friends. Maybe getting a wedding planner isn't such a bad idea! The chances are your fiancee will not care about the details of the wedding in the same way you do. Let him off the hook - it's OK that if he's not that into it - and stop inviting an argument because he doesn't care about the colour theme. Ask yourself does your fiancee get dressed for work in the morning all on his own? If the answer is yes, then you do not need to add to your growing list of things to do and 'supervise' the wedding suit shopping. Your fiancee can sort himself out. Find yourself a venue that has an awesome wedding coordinator, a photographer who knows the venue and a DJ or band that can get the wedding party singing along and you are flying! I am getting married as I am. Thank you for thinking of me, but can you believe that I already feel beautiful and confident! I feel really happy as I am. Things are moving along well! I am enjoying being engaged. I'm enjoying myself but i's not taking over my life. We are organised and having fun. I hope you have the most magical day. but if you don't, it's OK! Don't forget, it's not about the wedding, it's about the marriage.